Sebring started life as a United States Army Air Forces training base. From 1941 to 1946, pilots learned to fly the B-17 Flying Fortress. Aeronautical engineer Alec Ullmann, seeking sites to restore military aircraft for civilian use, saw potential in Hendricks' runways to stage a sports car endurance race, similar to the 24 Hours of Le Mans. 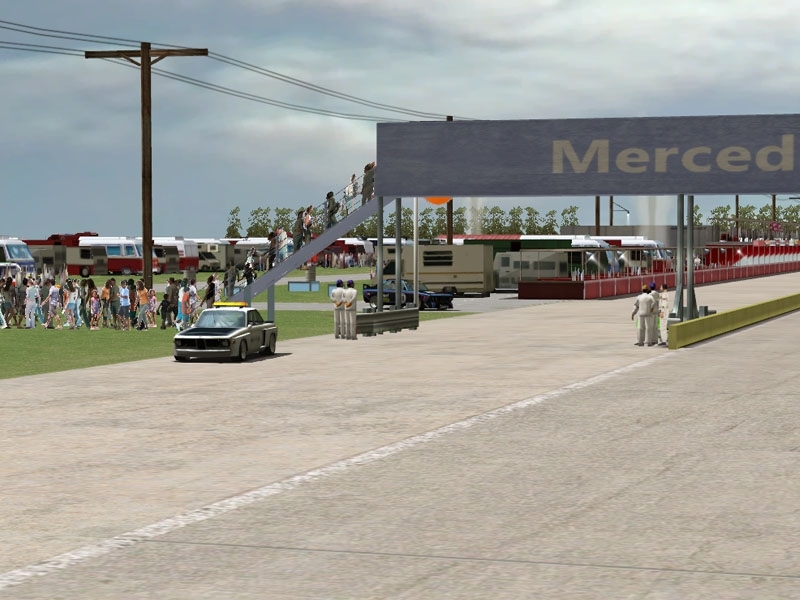 Sebring's first race was held on New Year's Eve of 1950. 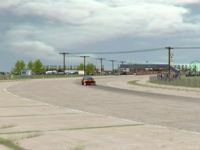 Sebring is renowned for its rough surface. The course still runs on old sections of World War II-era landing fields that were constructed of concrete sections with large seams. The transitions between sections are quite rough and often, sparks fly from the undercarriages of the cars as they traverse them. Much of the track has intentionally been left with its original concrete runway surface. by myself and Normhart for the CSGT group ..
Changes since the beta release, reworked all grass sections, new grass texturing and mapping, new tree models replacing the old gpl 2d type, some textures updated, new cut tyre models, removed some of the static 2d planes, but added new 3d aircraft models..
Race Starts : watch for the flag ! 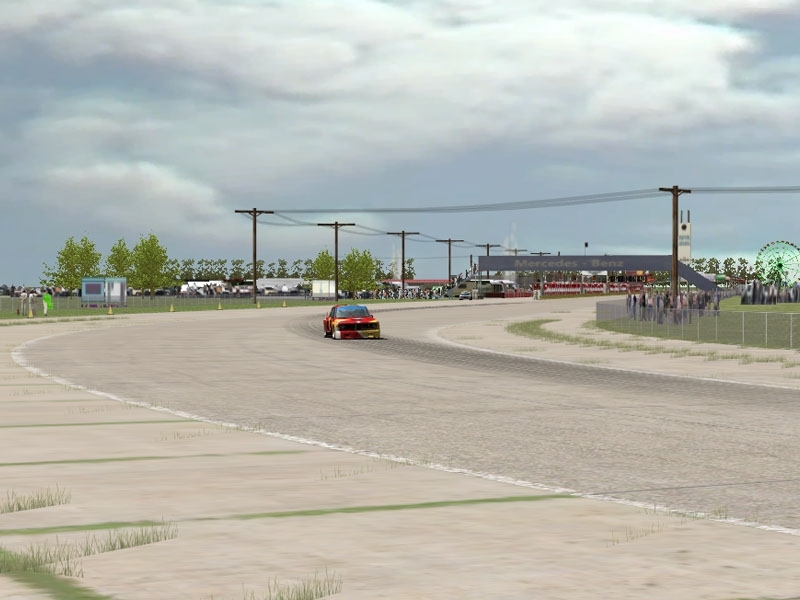 There are currently no setups for 70Sebring. Add a Setup. Good track! Road, object textures are good. "World objects" are a great addition to the environment. I like the addition of Rvs, airplanes. But I feel like a giant watching and comparing the AI car size race around the track. The light poles are short. The trees are small and theres too much repitition with them. Make some close vicinity objects bigger. I don't feel game immersion going on here! Bigger objects would definitely give a better immersion feel. 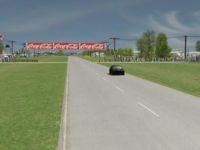 Also, the bumps on the concrete part of the track are so strong, I loose focus of the turns. Other than that, you can have a good quality track worth 100% - with minor adjustments. 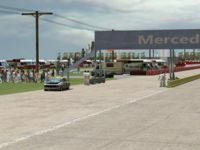 saloei : your complains about the track, is what makes it Sebring. It is on the edge of the Everglades In Florida, and is an old military airport. Love it ! In the Speed Merchants Mario Andretti talked about the long back straight riding like a washboard and he ain't wrong ! The vibrations are incredible ! That is one awesome Ferris Wheel!! Very nice track, very well done and eye for detail. great job.